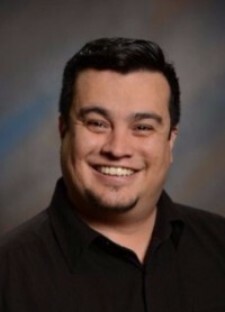 Originally from El Paso, Joseph first began working in the recovery field after joining the Continuation and Development Team of the same non-profit organization that assisted him in his own early recovery, the Recovery Alliance of El Paso. He celebrates the commencement of his recovery on October 2, 2005. As a distinguished graduate of the 2009 Leadership Institute for Recovery Support Service Emerging Leaders, Joseph exhibits considerable talent both as a mentor for his peers and as a skilled facilitator and trainer for others providing peer-based services. He has worked as a recovery coach since 2006 and has over 60,000 hours of experience. Finding his passion in facilitating recovery based solutions; Joseph began training other recovery coaches. He has helped to train organizations and individuals from Las Vegas, Colorado, Dallas, Corpus Christi, Houston, Austin and many other cities providing recovery support services in the State of Texas. To date he has trained over 300 Peer Recovery Coaches and 60 Peer Recovery Coach Trainers. With the skill sets that he has learned from successfully completing the 2009 ATTC Leadership Institute as well as the 2011 Addressing Health Disparities Leadership Program of the National Council for Community Behavioral Healthcare, Joseph helps others rise to any challenge and achieve their dreams and potentials, be it organizationally or personally. In addition to his work within the recovery community, Joseph is committed to reaching out to the LGBT community in an effort to help eliminate homophobia and heterosexism. His courage lending a positive face and voice for individuals living with HIV & AIDS, Joseph has tested HIV positive since 2003. He appeared in the 2009 December/January issue of Instinct magazine briefly sharing his experience and strength with readers across the nation. A passionate and positive advocate for recovery, Joseph’s personal mission statement is, “To Inspire Positive Thinking and Forward Movement through Motivation, Education and Empowerment." In 2012 he cofounded a Recovery Community Organization in Austin, Texas. This organization was directly inspired by the organization that “saved his life”; RecoveryATX is the resource for diverse and quality recovery support services in Central Texas. Their mission is to strengthen the recovery community by providing educational opportunities and support services. Their goal is to unify the recovery community by using the spirit of collaboration as their guide. Joseph has encouraged the recovery community to step into roles of leadership by developing, implementing and facilitating recovery programming to the community. He has recently acted as a subject matter expert for the Center for Social Innovation and the SAMHSA BRSS TACS as well as assisting in helping to create statewide and national standards around Peer Recovery Support Services.